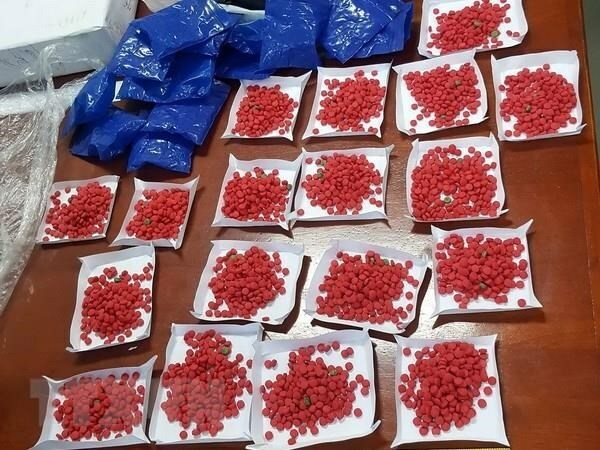 Lang Son (VNA) – The border guard force of the northern province of Lang Son on March 21 arrested a man transporting 993 meth tablets and about 0.5kg of heroin in Yen Khoai commune, Loc Binh district. Nguyen Dinh Loc, born in 1970 and residing in Tan Bien 1 village, Tien Bo commune, Yen Son district of northern Tuyen Quang province, was caught carrying the drug, wrapped into small plastic bags, in Na Quan village. Loc confessed that he was hired by a Chinese man to bring the drug to China for 2,000 CNY (298 USD).